The Elms at Fairfield View is a specialist dementia care unit. In building this specialist unit, we have worked closely with the dementia care professionals who work and specialize in this field. They have given us valuable insight into providing a high quality service that enriches the lives of the people we care for. The Elms at Fairfield View provides accommodation in single ensuite rooms. Each room is attractively furnished and includes a radio nurse call system and a television point. 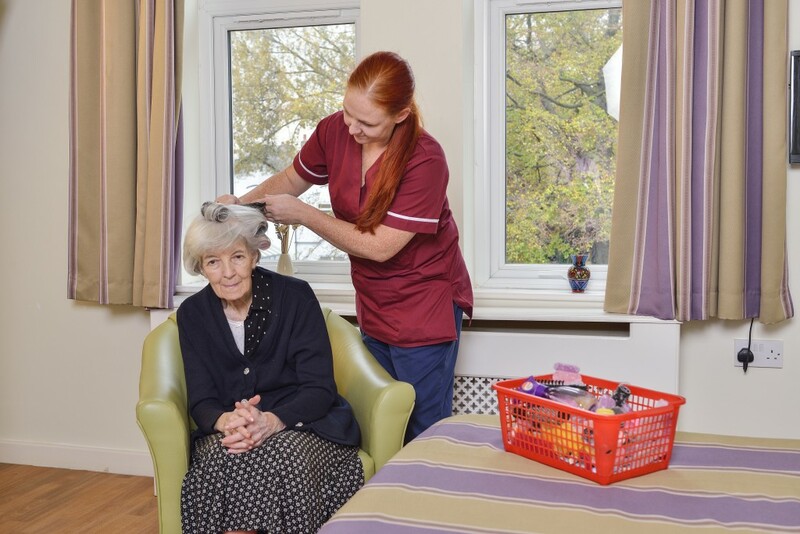 The Elms provides a warm friendly and homely environment for everyone who lives here. The standard of cuisine, which includes varied diets for example, diabetic and vegetarian is excellent. A member of our catering team visits and speaks with residents on a regular basis to discuss individual dietary needs, likes and dislikes. There are also varied menu choices available. Qualified health care professionals are on duty at all times. All staff are carefully selected and trained to a high standard to ensure personalized and dignified care is provided at all times. This level of care is what Fairfield Views enviable reputation is built on. The Elms has the facility of a passenger lift to all floors with additional toilets and bathrooms provided throughout the building. A Clergy from most denominations visit frequently and there are services held in the home for residents to attend if they wish to do so. There is a hairdressing salon with a visiting hairdresser weekly, a Podiatrist visits regular and the services of a Physiotherapist can be accessed when required. 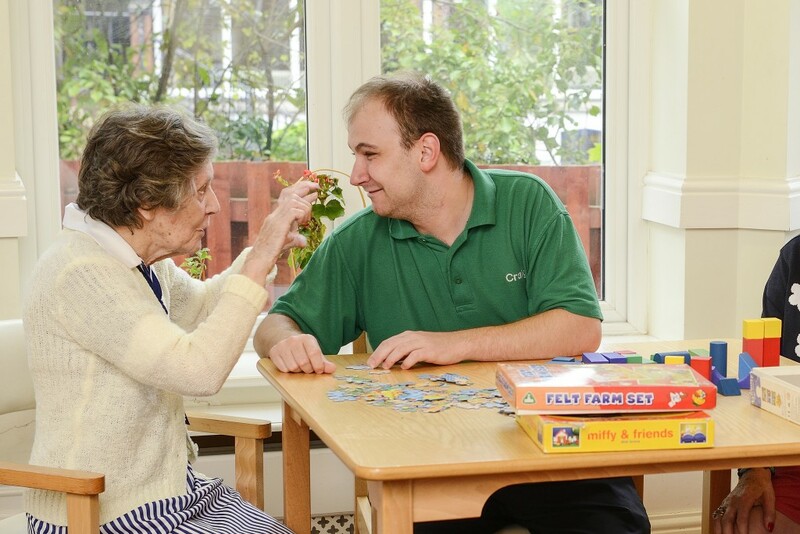 Here at the Elms we take a different approach to caring for individuals who are living with dementia. Each member of the team from the care staff to the domestics and catering team members looks for the person beyond their dementia diagnosis, we pride ourselves in understanding that as people we are all shaped by our experiences and individuals experiencing dementia are no different. At the Elms we believe in order to deliver outstanding care we must take time to get to know the person that we are caring for. Understanding a person is essential to supporting choice, promoting dignity and independence. As a team we work closely with family and friends to ensure that residents living with us are able to continue living a normal and fulfilling life. Families are actively encouraged to spend time with us at The Elms as this is beneficial to all members of a family not just the person experiencing dementia and is a valuable asset to staff who are able to share the family experience with them. The Home itself is an extended Edwardian Villa set well back off the main road. The home is set in beautifully landscaped gardens, the well planned out modern facilities include more than 20 spacious en-suite bedrooms with beautiful high ceilings giving a light airy feeling to the rooms. Downstairs there is plenty of space for a wide range of stimulating activities that are available to all our residents. There is also a number of quiet areas for rest and relaxation. All the areas within the home are specifically color coded and have our design features to assist individuals who are living with dementia to be able to move around the home safely and independently. Many modern electronic assistive technologies are available as are innovative approaches to care. Our team at the Elms are led by Unit Manager Russell and his Deputy Kevin who will work closely with Christine the Registered Manager of Fairfield View, between them they have more than 30 years experience in care. The rest of the staff team from Care assistants, Catering, Laundry and Domestic staff have all been especially chosen for their care, compassion and positive attitudes. 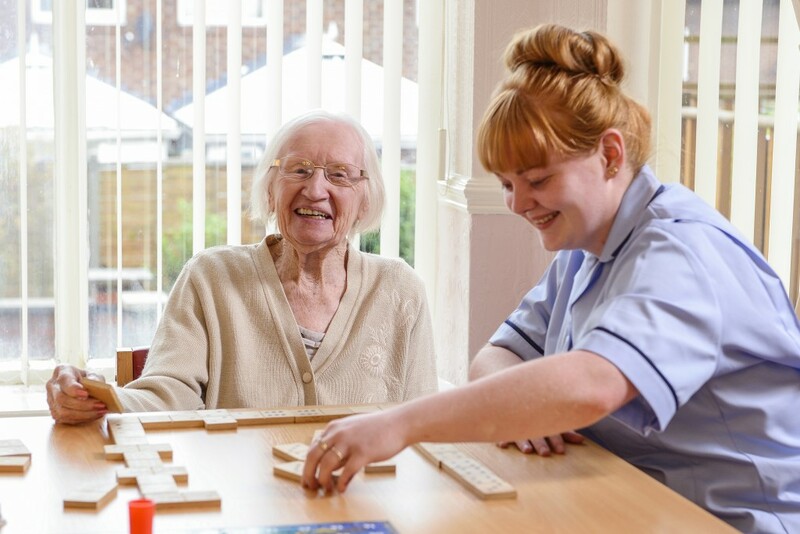 Should you have a question, a member of our Senior team will be more than happy to explain any aspect of the care we deliver or the facilities we have to offer. We understand that choosing a home in any circumstances is not an easy one. When your loved one is experiencing dementia the choice has to be the right one. We feel The Elms at Fairfield View will be a beacon of excellence in dementia care and we pride ourselves in raising the awareness and understanding of Dementia.